I don’t think a year has gone by where the British weather has ruined plans for numerous family shoots but 2019 seems to be very different. The weather has actually played along and I have managed to go ahead with all my natural, outdoor shoots on the days we planned. 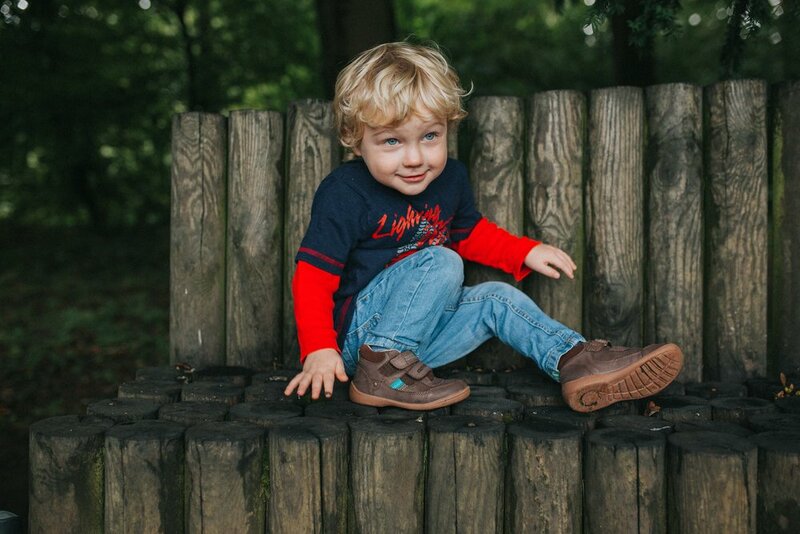 This has meant lots of beautifully dressed families meeting me in woods, parks and local favourite spots to have their photograph taken. One thing all the families have in common is that they all say they never have a nice photo of all of them; maybe its always mum taking photos or dad behind the camera, so getting me to capture a session means everyone gets a chance in front of the camera! 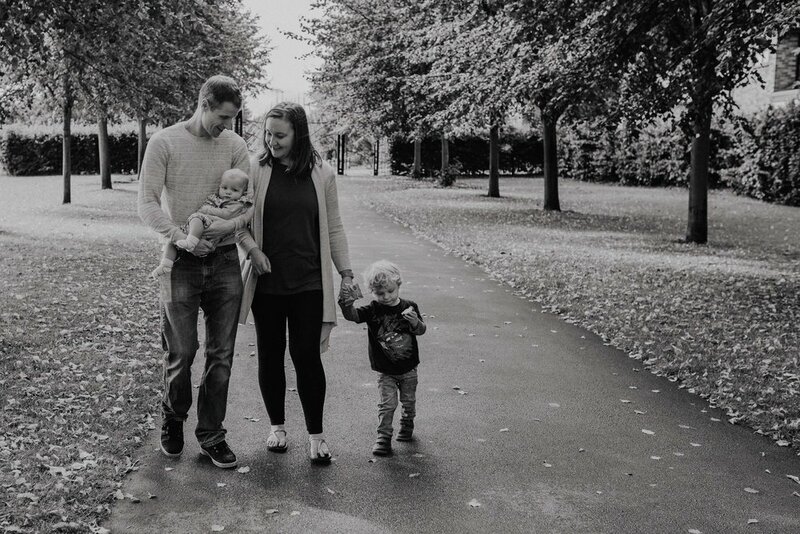 I love family shoots and can’t wait to soon be taking some of my very own - best get working on the timer function so I can jump in the photo too!! As the year begins and festivities have well and truly died down I thought I would take some time to look at some of the beautiful venues that I had the opportunity to work with in 2018. This selection covers some of the closer to home Yorkshire venues and a few further afield. Some of you will know, or have seen from my chosen images that I absolutely love an outdoor setting, something about the light and the colours really make me happy; Having said this, nearly all wedding venues can surprise you with hidden opportunities for gorgeous outdoor shots. I always encourage couples to meet me at the venue before the wedding so we can take a look together to find some perfect spots for photos on the day, come rain or shine! I loved shooting at all these venues this year and I am happy to say I will be returning to a couple over the next year or so! 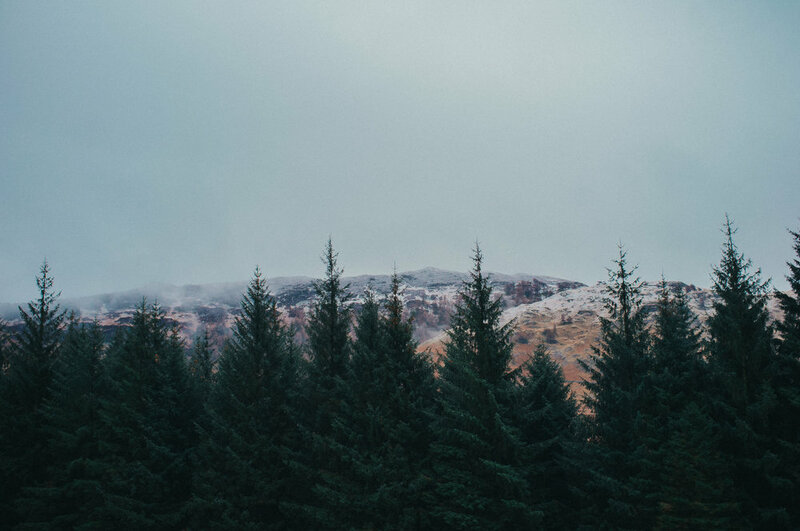 When Christmas has passed and bringing in the new year seems like a distant memory it is often a great time to start thinking about what the year ahead holds. You may have a big celebration coming up or a family gathering and sometimes the normal, everyday moments in life can get overlooked. This is where I would say take a minute and think about whether you captured enough of your everyday moments last year and can you make a change going forward. I recently lost my wonderful Granny B and it quickly became apparent how important photographs were to remember her when she was a youthful 80 years old with a cheeky spark in her eyes. Family photographs don’t need to happen for a special occasion, they are simply remembering a moment in time; maybe you have a new addition, maybe you never get a family photo of you all together, maybe you just want to document each year as the time flies by so fast. In 2018 I lost my grandma but gained a beautiful niece, who is named in memory of my grandma’s mum, and I am so grateful that I have taken the time to capture them both at different times in their lives. 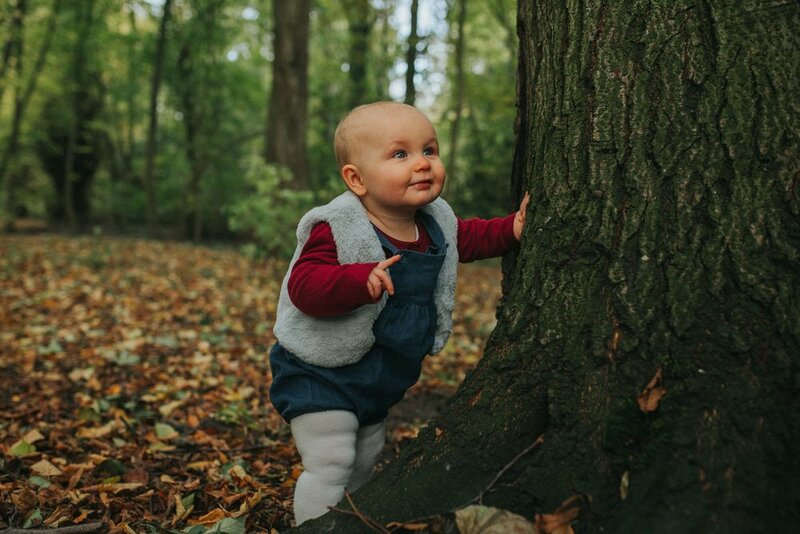 Photos of both Sheila and Lucie are below along with some of my other favourite images from Autumn of last year. Capture those moments guys, you never know when you might treasure those photos one day!! 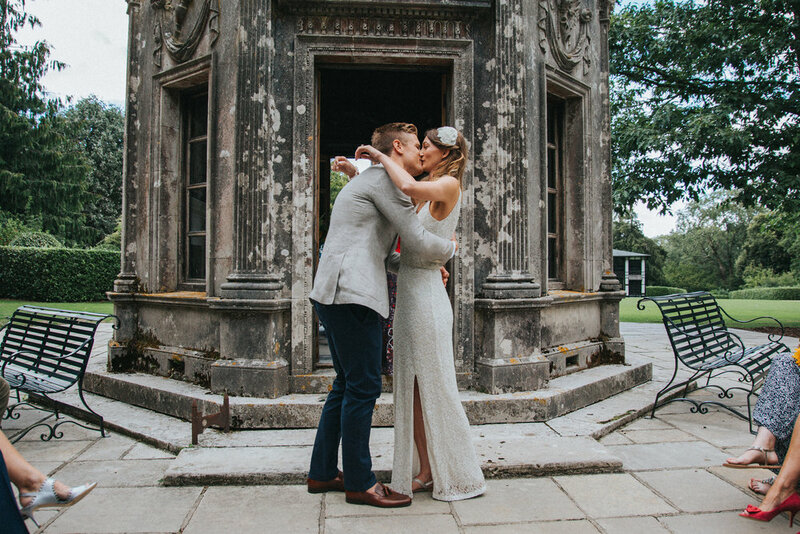 A wedding filled with love, elegance and peacocks! 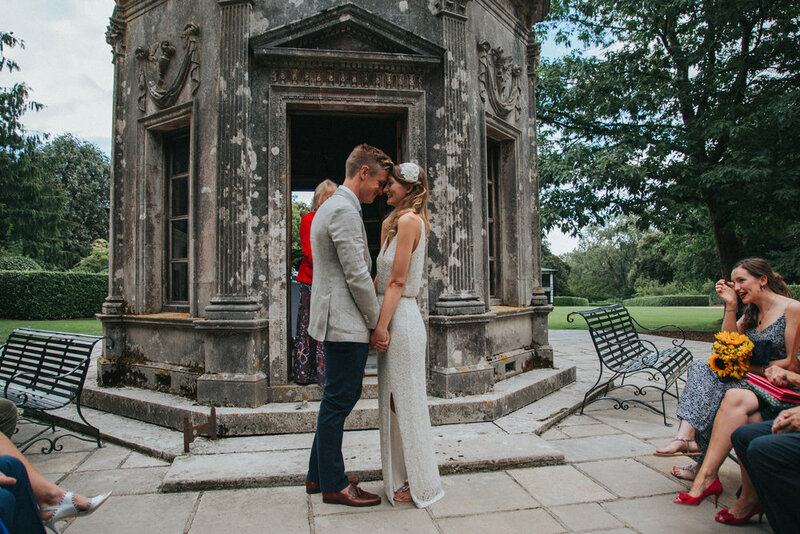 When my long time friend and fellow Alice called me in April to see if I was free on the 18th of August I was so happy to be able to say that indeed we were, the only Saturday free in the whole summer - ‘Great’ she said, Nick and I are getting married! Shocked and very excited we pencilled this date in the go to our dear friends wedding at Larmer Tree Gardens near Salisbury. Not only did we get to go to their Saturday ceremony as guests, we were able to capture their secret ceremony on the Thursday evening, both in photographs and on 8mm vintage film. Here is just a selection of the photos from our special friends secret ceremony, and the video with some dodgy stock music on (ask Al if you would like to see the version with their fabulous music choices on!). A dreamy day in York! Now technically I am not in order posting this wedding today, I had many in between Klo & Ant’s, but I was reviewing Rebecca & Matthew’s photos and just wanted to share. Some of you will know I have a massive love of flowers, the more vibrant the better, so this day was a delight for me! Not only that but it also happened that their day was held at Grays Court, York and is in the most picture perfect spot! Rebecca and Matthew got in touch because they had planned a relaxed, family affair and wanted their photography to reflect this. They wanted natural photography that captured all the important parts of their day, and even thought they opted for shorter coverage, I still think we managed to do just that. On the day the weather was been typically British, raining one minute and then teasing us with the thought of sunshine the next. We embraced this and ran outside at any given opportunity! 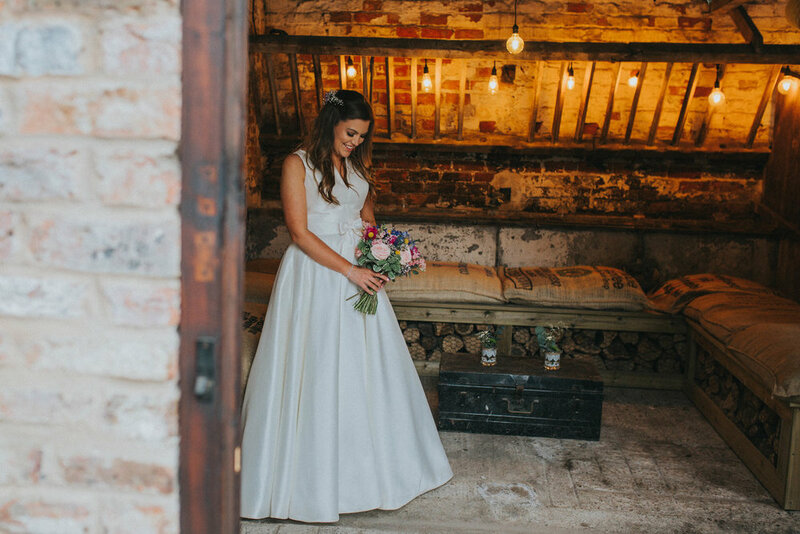 By choosing a September wedding Rebecca & Matthew were able to make the most of the beautiful festoon lights and a very carefully organised sparkler exit! I must admit fire at weddings terrifies me but done in the right way, organised by the couple and with extra long sparklers, it really can pay off! Congratulations to Rebecca and Matthew and thank you for including me in your magical day! Boho wedding with the cutest ring bearer! Kloe & Ant first got in touch from their current home in Dubai! They explained they were already married legally but had missed out on the party and they were excited to plan their day in the UK. When I arrived on the morning of the wedding I knew that it was going to be a pretty special day! Kloe and all her girls were getting ready and as more people arrived everyone got even more excited. Incredible flower crowns, white Bridesmaids dresses and Snoop the ring bearer meant that this wedding was including so many quirky little touches. Styled like a Pinterest board their venue, Alverston Pastures looked just like a chilled out festival, with dream catchers galore, an aisle of colourful rugs and wild and wonderful posies everywhere. The ceremony was conducted by a family friend and was super emotional, only surpassed by the speeches - literally everyone was in tears - even me! And then.... the party! Dancing, faceprinting and a choreographed 'Greatest Showman' dance routine by Kloe & Ant! I had so much fun at Kloe & Ant's wedding and when Kloe sent me gorgeous email saying how pleased they were with the preview it made me even more eager to finish the full gallery! Soon to be featured on Whimsical Wonderland Weddings! 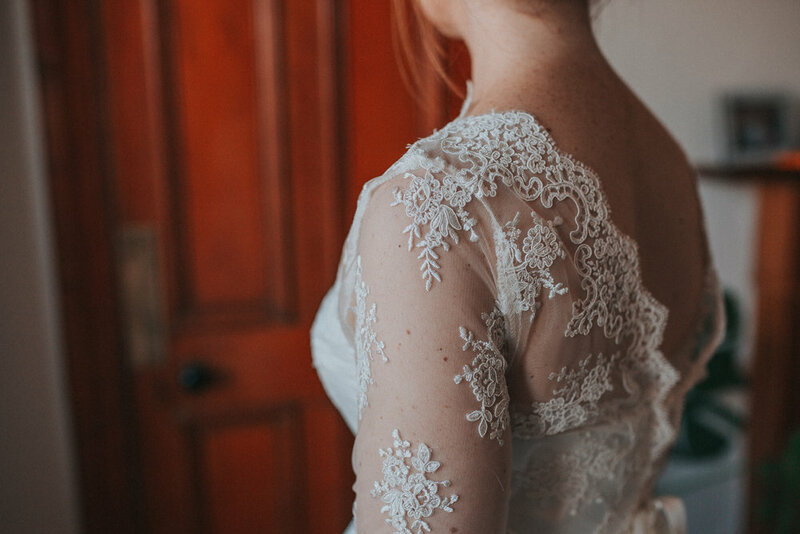 Charlie Brear wedding dress transformation for the win! I met Hattie & Joe at Sledmere house for their engagement shoot and to say it was covered in Fog would be an understatement! 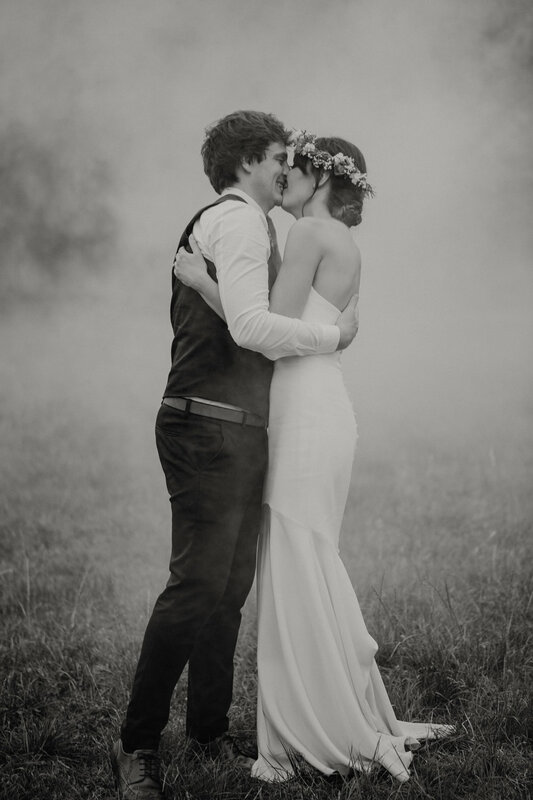 We could not see further than our hands and the view was hidden with a thick layer of York Valley fog, so to arrive on the wedding day to clear blue skies and temperatures hitting 30 degrees was a big difference. 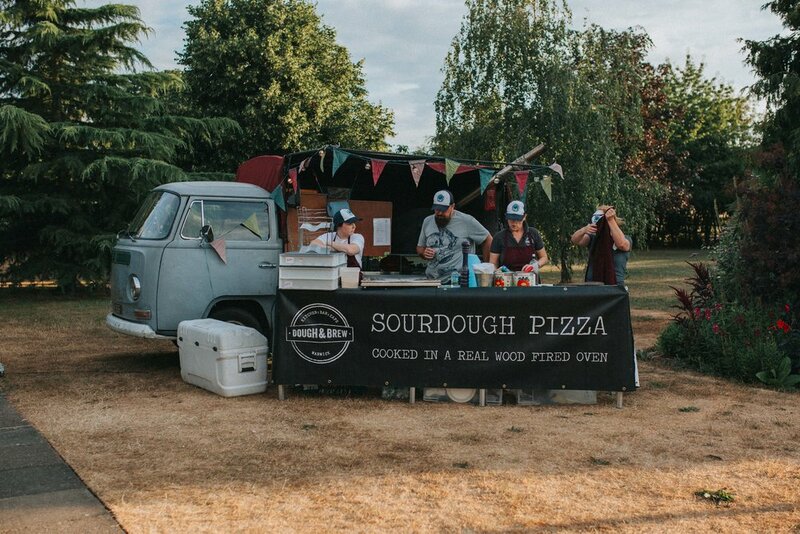 These guys had pulled out all the stops; With pub themed table settings, flowing champagne and a 90's power hour disco they made sure everyone would be in for a good time. 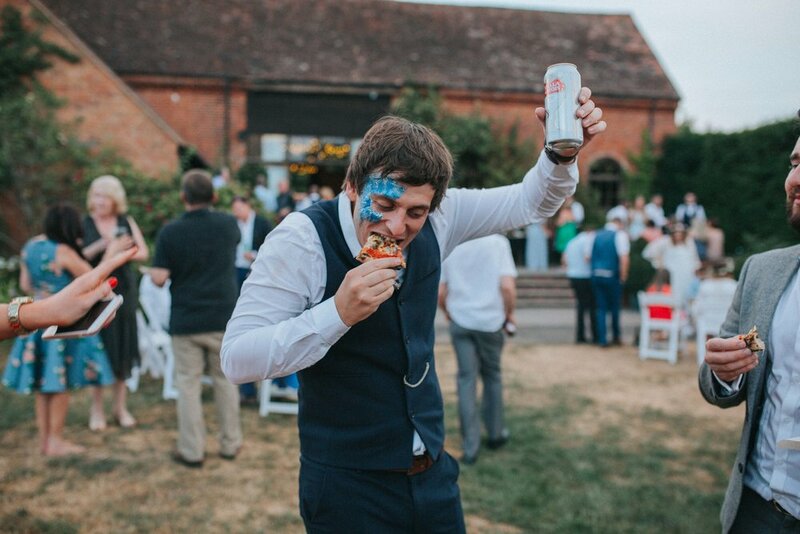 I can also honestly say that Hattie & Joe's friends and family were amongst the most welcoming I have ever had the privilege to be around, constantly offering me champagne or jagerbombs, whilst complimenting me on photographs they were yet to see! 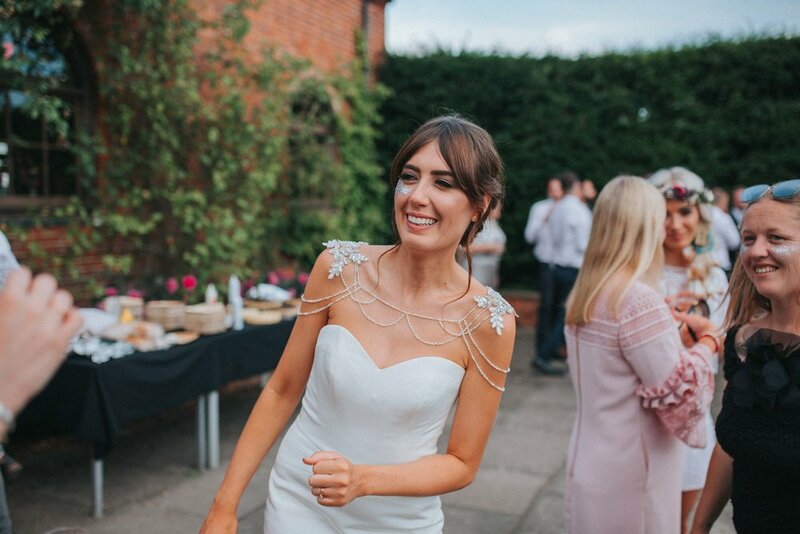 Hattie wore an incredible Charlie Brear Gown that she transformed for the evening with a jewelled belt and all her girls wore their own version of the same dress which worked perfectly. The gents had a sing a long to "Three Lions', as England had just got through into the Semi's and during the 90's power hour guests could only order WKD's or Smirnoff Ice from the bar! Smashed it guys!! 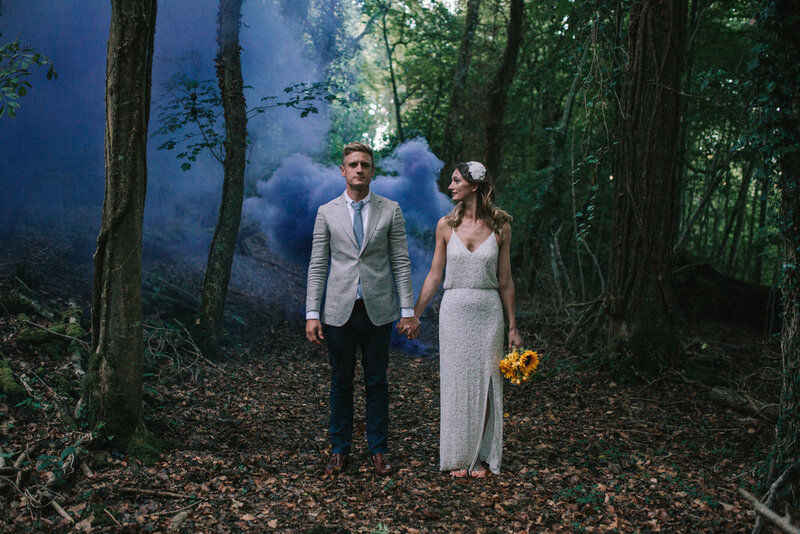 Hattie & Joe's Day will also feature on Brides Up North at the end of August! 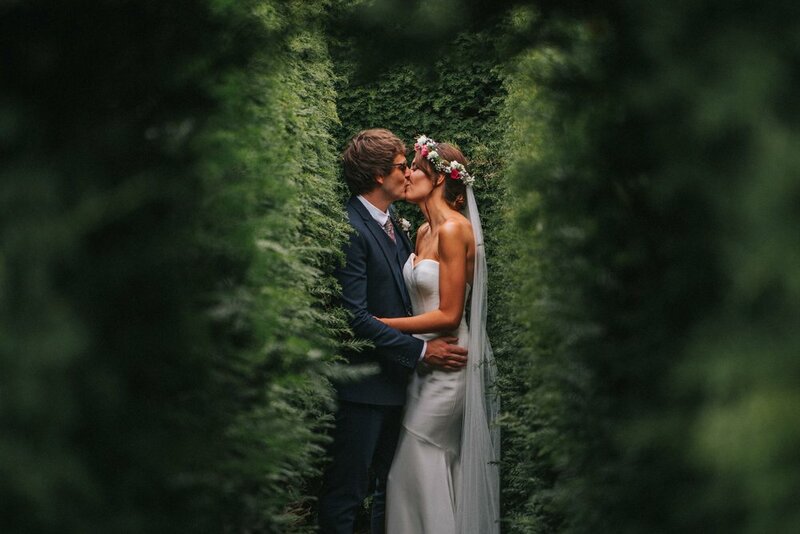 Feast your eyes on this beautiful Yorkshire wedding! 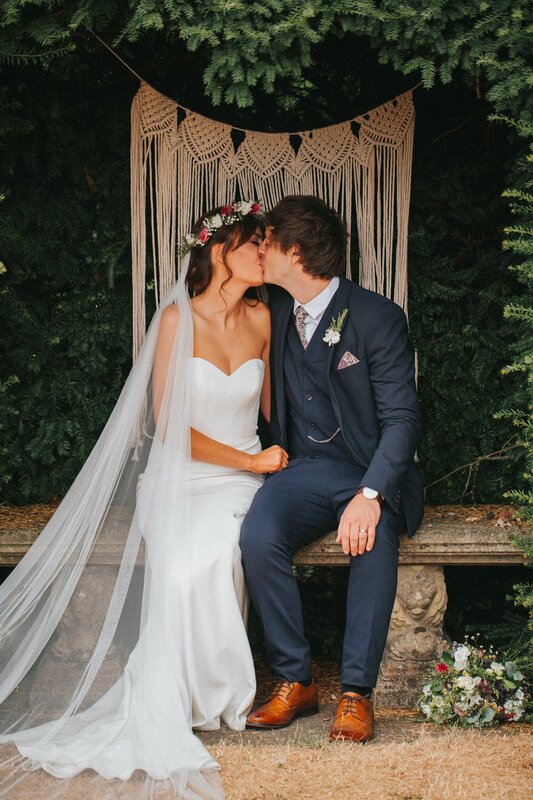 Seen as it is Yorkshire Day I would like to show off this incredible wedding that took place in the beautiful rolling hills of North Yorkshire. It has recently been chosen as Brides up North real wedding of the month which made me super proud! Dominic and Becky got married on Saturday the 23rd of June at Barden Tower and Priest's house, North Yorkshire along with around 100 of their friends and family. They had chosen stylish mint green for the bridesmaids and a dapper navy blue suit with matching bow tie for the gents. Becky and Dom were always super lovely and relaxed when I met them before the wedding and their day was no different; Full of laughter, love and VW campers! Teenage Sweethearts tie the knot in super stylish Art Gallery Wedding at The Tetley, Leeds. The rain ain't going to ruin our party! The weekend of the 2nd of June was a pretty special one for me, not only was it our own 1st anniversary I also got the chance to photograph an incredible festival inspired wedding in the Yorkshire Dales. Amanda & Matt got in touch and explained that they would absolutely love me to do their photos and that if I wasn't available then they may not even get a photographer - how could I refuse! When we met to discuss the plans I knew this wedding was going to be perfect! Now, something Brides always worry about, me included, is the weather and I am so proud to say that even though it rained, a lot, on Amanda & Matt's day they did not let it phase them! I was blown away by the way the guests grabbed brollies, moved the ceremony indoors and embraced the English weather. Amanda strode out into the glorious buttercup field with no umbrella and made sure to wipe the rain drops off Matt's forehead; making for even more intimate and beautiful photos. These guys had a blast and it just goes to show that if it does rain on your wedding day, embrace it and it won't matter one drop! 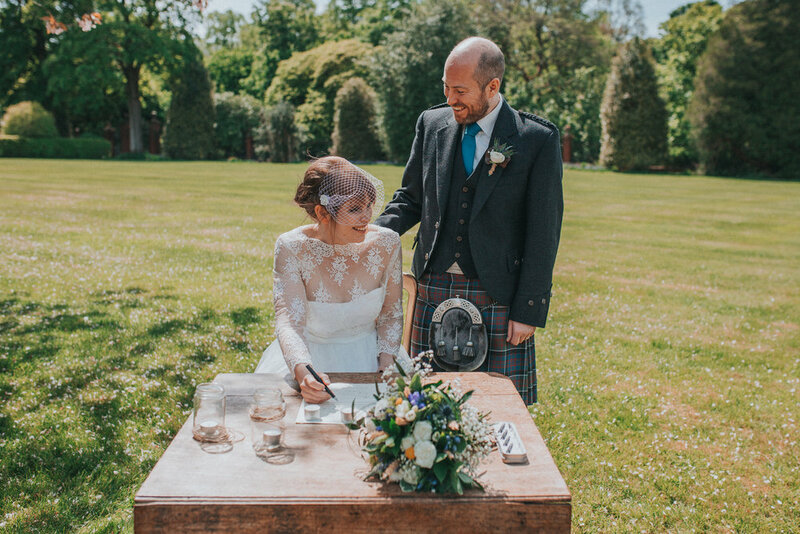 A wedding full of Scottish and Swedish Charm! 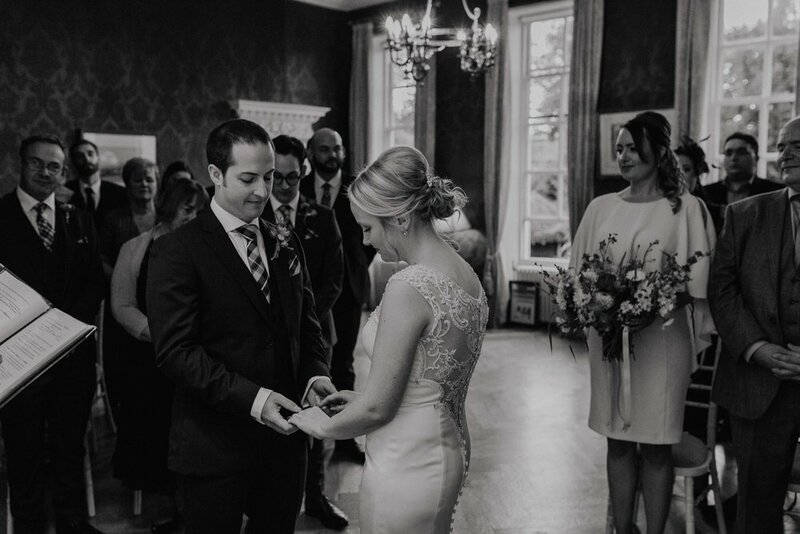 When Ellinor & Michael explained that their wedding day was going to be absolutely full to the brim of traditions, songs and dancing I was very excited to say the least! Ellinor's Swedish family mingled with Michael's Scottish relatives underneath the beautiful blossom trees that were creating a wonderful natural confetti during the ceremony and we all waited as Ellinor and her father were walked down the aisle by a traditional Scottish Bagpiper! The ceremony was personal and dedicated and Ellinor told me how happy she was that the blossom had been falling throughout. 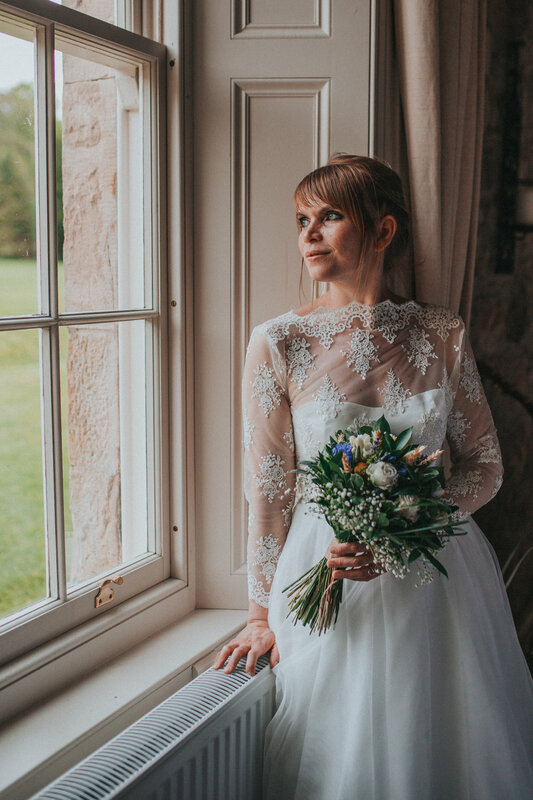 Kirknewton House Stables has so many fabulous spots for portrait photos so it was lovely to wander around with the newlyweds and capture them sharing these moments together. The evening finished with a huge Ceilidh, and I must admit, I was so tempted to join in!! It was really special to be part of a day that brought two families together in such unique and personal way! Kickstarting Peony season with a wedding at The Normans! I am sure a few of you reading this know exactly how much I love flowers and especially Peonies. Flowers are where A Little Picture all started from so I do love it when Brides mention that they are excited about the flowers on their wedding day! 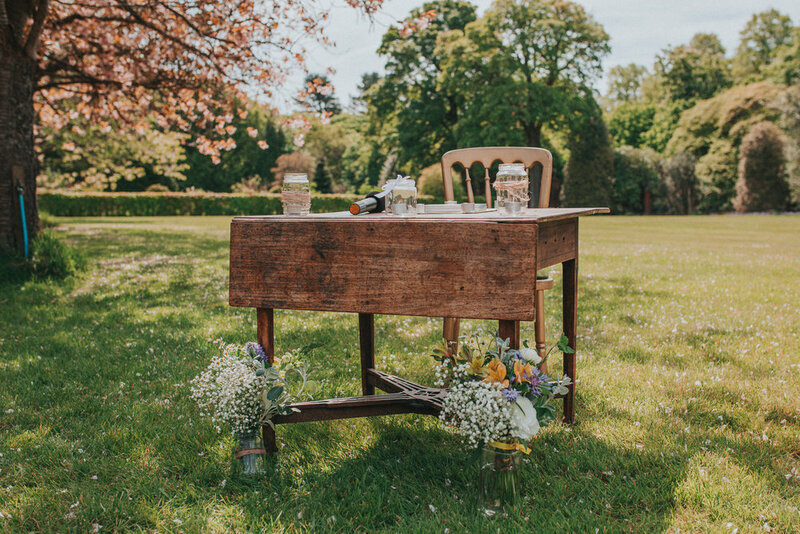 Philippa and Andy had chosen the beautiful venue of The Normans just on the outskirts of York and Phil had completely gone to town on the incredible flowers! Not only does this venue have an super cosy barn but it is filled to the brim with fairy lights too so this combination was a dream. I have had the pleasure of getting to know Philippa, Andy and their beautiful little ones for a few years now and it always such a great feeling when someone chooses me to photograph their wedding day through a recommendation from a friend. I had a wonderful day where I felt like part of the family and left with a warm glow, knowing that I had captured this little family celebrating a very important day! We set off on a holiday or otherwise known as 5 city breaks within two weeks! Ambitious?! Maybe but we were excited about the thought of seeing lots of new places, travelling on various modes of transport and maybe even lying on a beach at least once! First stop was Dubrovnik, somewhere we have both been excited to visit for a few years now. Upon arriving we must admit we have never entered a city that had such a remarkable first impression. We wandered through the archways of Kings Landing, following Cersi's walk of shame up to our apartment. We were on the outside of the walls which I would really recommend as we escaped the tourists and had a great view of the city. Dubrovnik is an unbelievable place, with incredible buildings, light and 1000's of swift's flying above the city. Much smaller than York and the walls are fully in tact which means there are ample amazing views of the city from above. A super start to the trip. Next up was a 5 hour bus journey to Split. Travelling across the Bosnia & Herzegovina border twice in order to travel up the Croatian coast line we finally made it to this rather modern city with a beautiful old town. A lovely mix of idyllic old buildings and modern cocktail serving restaurants, we had a great airbnb with good tips from the locals so made the most of our 48 hours in Split. By this point we thought we had done a lot of walking but that was nothing compared to our next stop of Venice! Having visited once before I had forgotten the size of the city and it surprised me how lost we would actually get. I do believe this is the most romantic city we have ever visited together. We fell in love with the back streets, the canals (of course) and the prosecco! We were constantly beaming and saying 'Wow!' each time we turned a corner. The food was obviously amazing and we tried to eat as much pasta and pizza as we could every day. The sunsets were wonderful as was the buzz after dark, we were given some good tips by our friends Ben & Mieke so found all the local hangs and felt totally at home. We actually didn't want to leave! Florence next and this now felt like a proper city break. No more pedestrianised streets and tourist menus, Florence catered for the fast lifestyle of early Italian breakfasts and all day gelato stops! We did a pasta making course in Florence which was one of the best parts of the trip, as we realised how easy it was and how delicious it tasted! Sunset overlooking the city with a few beers and a visit to the Boboli gardens before we headed up into the Tuscan hills. San Giminago was a bus ride away and we headed up for the promise of spectacular wine and views. Unfortunately storms started brewing as we arrived but that didn't put us off wandering and hiding inside the cave like bars for a wine or two! We watched a couple get married and found a great family run restaurant to eat our final fill of Italian cuisine! Last stop Pisa! Yes we visited the leaning tower and Andy was on the hunt for a McDonalds that Homer Simpson had visited on the show! We found both, but not too much else in Pisa. Just a stop to see the sight before we headed home. A jam packed holiday full of easy journeys and lots of the essentials - food and wine! Two happy Travellers! When I first met Helen & Ed they explained that from their day they just wanted to capture everyone laughing, smiling and having fun. They were planning a day at Saltmarshe Hall with all their family and friends and wanted relaxed, natural photography to reflect these relationships and of course their very own marriage! Helen & Ed bounce off each other constantly, laughing and joking with each other and so it was no surprise when, upon meeting all their family and friends, everyone was super friendly too! Helen told me she loves colour and she was so excited to see the wedding dress she had chosen, specifically to match her love of anything colourful! Gold shoes and a delicate collection of florals made Helen's outfit complete and of course matched Ed's tie! On the day Helen & Ed were indeed smiling constantly and it was nice to step them away for a few minutes to capture some more intimate portrait photos. A couple that have been in love for a long time and it was wonderful to be able to capture their celebration of that love. Soon to be featured on Brides Up North so keep your eyes peeled! My very first wedding of 2018! When I first met Ruth & Stevie we chatted about how OK it was to have a spotify wedding playlist and the recent purchase of tickets to see flight of the concords, from that moment I knew I was going to have a blast at their wedding. 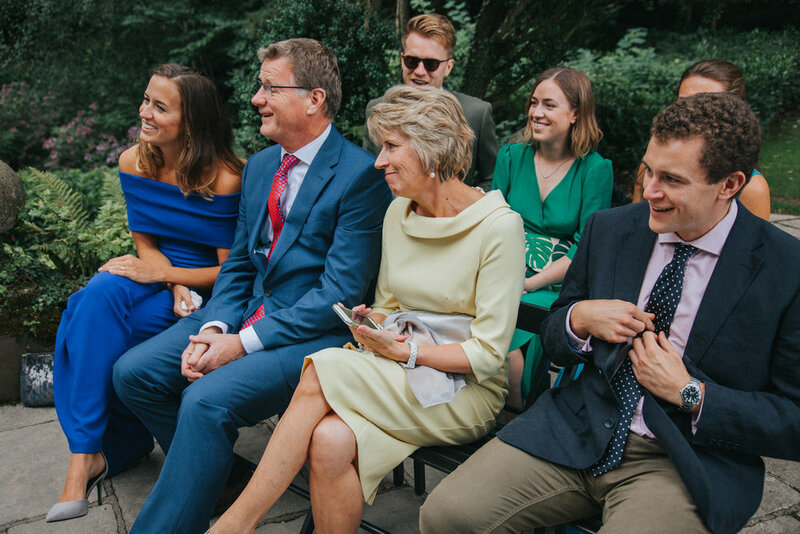 Made up of two parts - a Leeds ceremony with 3 witnesses and then two weeks later we headed to Kirkstall Abbey in Leeds for a grand affair with all of Ruth & Stevie’s nearest and dearest; including Parker the Greyhound! 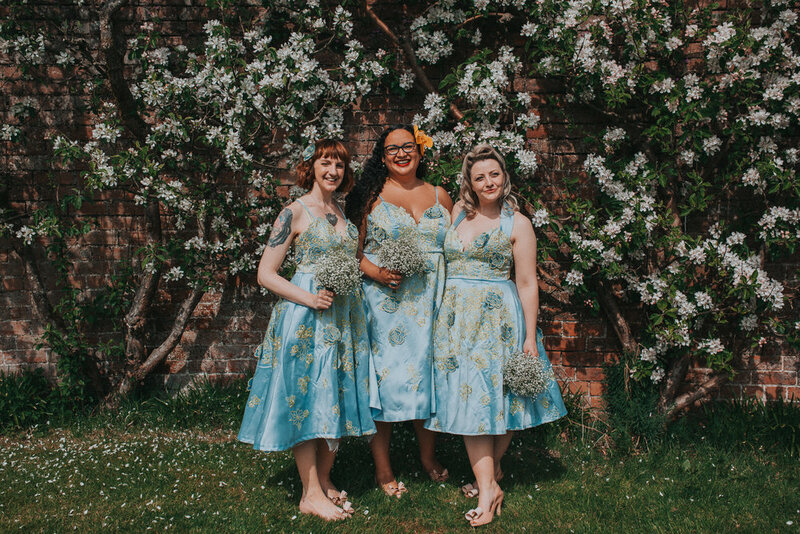 Ruth wore an incredible floral gown by David Tutera and she had chosen beautiful bridesmaids dresses and flowers in tones of pink and peach to compliment it. A turquoise camper transported them to the abbey where Stevie and their guests awaited their arrival. Just after the really personal ceremony the sun began to shine and it made for some incredibly lit images of guests enjoying themselves and for portraits of the newly weds. We even manaegd a sneaky trip up to ‘Surprise View’ in Otley; a place Ruth & Stevie love. The reception was held in Robert Craven Hall in Bramhope and had been lovingly decorated by Ruth, Stevie and some kind wedding guests the day before. Bunting galore and an Indian Street food truck made the hall feel like Ruth & Stevie’s perfect party. I have no doubt the dancing went on until the curfew, with a lot of flossing throw into the mix, and I am hopeful these photos will help them to relive the day over and over again! 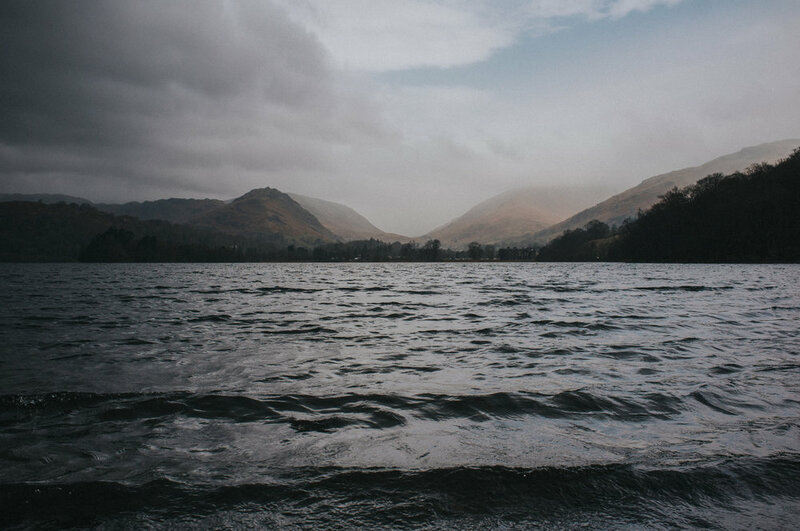 An Easter trip to the Lakes. We had planned a little Easter getaway a few weeks ago now but the catch was that we planned on camping! Fast forward a few weeks and tales of a beast of the east 3 began to scare us into nearly cancelling our trip! Luckily we stuck to our guns and made it up to Hawkshead for one night and the Grasmere for two and thankfully the weather was actually pretty good for the Lake District; we even managed a sneaky pint in a beer garden! The views were incredible up at Blea Tarn, our first visit here, after seeing it on https://ramble-guides.com and we were so glad we made the 30 min trip up winding roads to find the trail. We hiked up Side Pike and through some tight rock formations to get a 360 view around the hills and over the Tarn. We also set out and hiked up Loughrigg Terrace via Rydal caves and although this was abit wet and windy at times it still felt great to get up high. A wonderful trip with some great company, delicious ales & food and world class scenery might now become a yearly mini break! 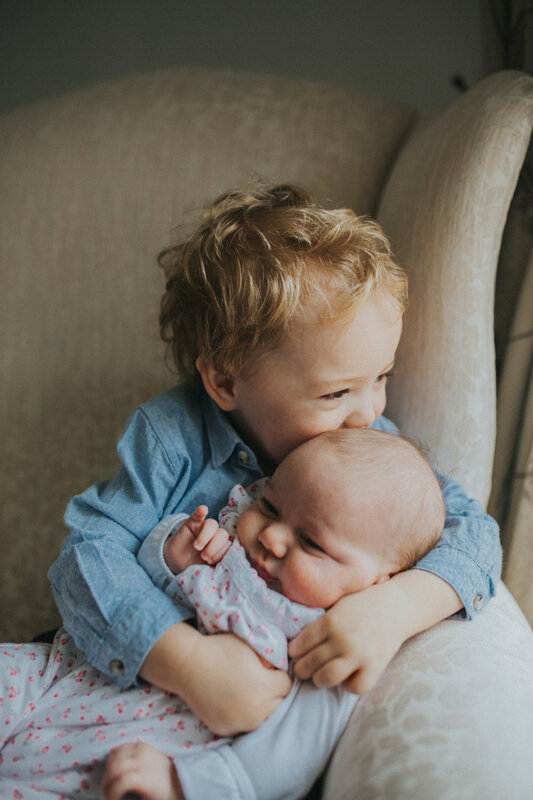 One of the best things about being a photographer is the fact that I am often asked to photograph brand new, little, humans. These stages in early family life can go by in a flash and so I love it when families ask me to capture them at home doing the things they love. Whether it's reading a story together or having a play outside, these moments matter and I am always so happy to be able to document them! Exhibition at The Attic Coffee Bar - York. When I started out on this whole photography journey I spent most of my time faffing and photographing flowers and, as the other sides of my business have grown, this original part has taken a little bit of a back seat. Deciding to do this exhibition was therefore easy because it has given me a chance to show off some work that I am really proud of and also think about what creative projects I would like to do alongside my family shoots and weddings. We all know how important it is to do something for yourself every now and again, and I guess this exhibition fulfils that for me. It enables me to see my work up on the wall, or for sale as greeting cards, and actually look at how far I have come in the past two years! 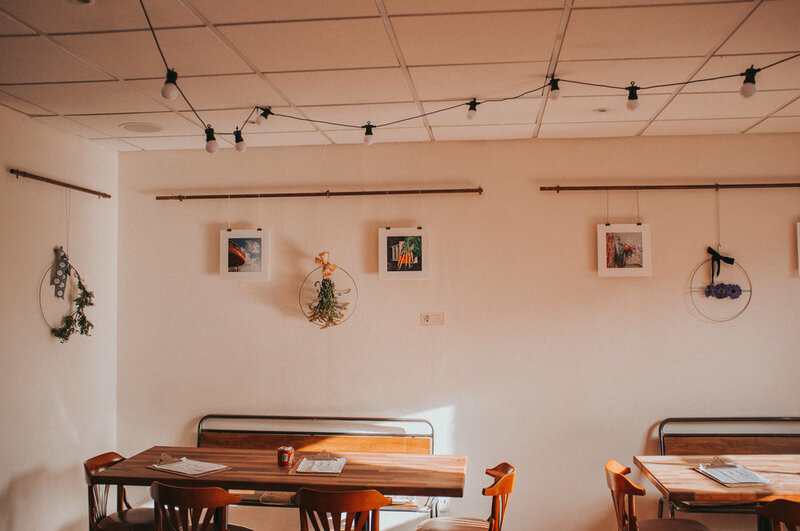 The Attic Coffee Bar & Gallery in King's Square, York, is a beautiful place to grab great coffee and spend some often much needed quiet time. If anyone fancies meeting for a coffee, and maybe a delicious cake, then give me a shout, I would love to see you there! It is always such a wonderful feeling when friends ask me to photograph their families, giving me the chance to have a little glimpse into their happy little worlds. I usually get to capture the changing characters over time and often the addition of a new little member! Lauren and Owen gave birth to the perfect baby Boy, Bram Laurie, and 9 days later I had some lovely cuddle time. Little Beatrix, who is now the big sister, was very happy to show me all her toys and eat all of the biscuits! Such a pleasure! As I write this blog post, my first of 2018, the sun is finally shining and dare I say it feels a little like spring! Spring also signals the start of my wedding season and I am very excited to begin capturing all the wonderful Brides & Grooms that have given me the privilege of that job! Over the winter months it is always a little quiet but I have embraced this and filled my time doing some rather lovely engagement shoots. These shoots are usually planned alongside a venue visit with the couple and there we will take a few snaps to ease into the idea of having your photograph taken. 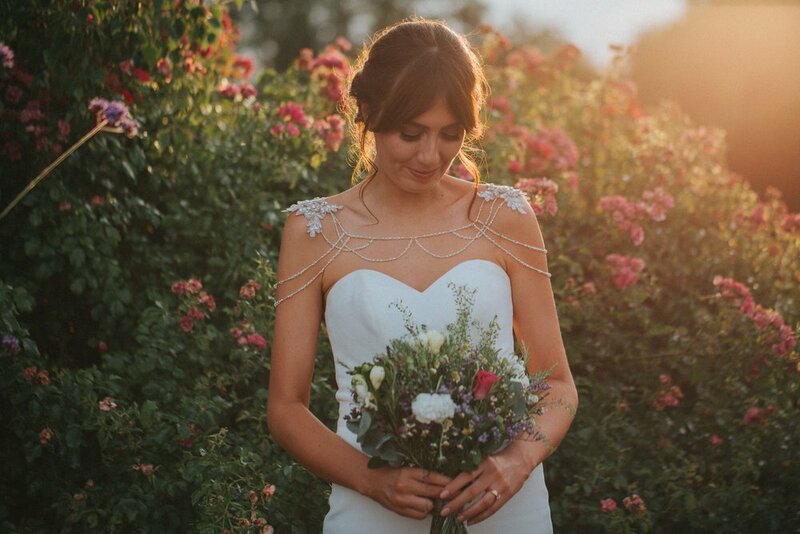 It can feel daunting or a little scary but I find it is a really great way to get to know me, my style and a little of how it might feel on the big day. Here are just a few of the gorgeous couples I will have the pleasure of photographing on their wedding day later in the year!